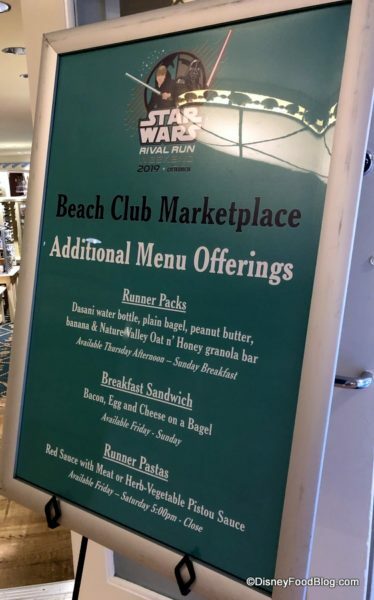 NEW Info About Ronto Roasters in Disney’s Star Wars Galaxy’s Edge! Ronto Roasters, the exotic meat stand coming to Star Wars: Galaxy’s Edge, now has a page on Disneyland’s and Disney World’s official websites, and with it we’ve got NEW DETAILS about the counter service spot! BREAKING! 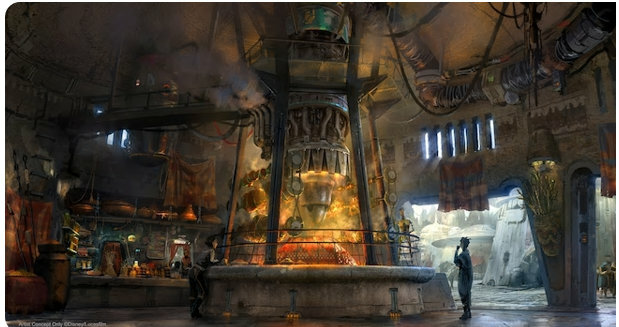 New Concept Art for Kat Saka’s Kettle in Star Wars: Galaxy’s Edge — and MORE! A few weeks ago, Disney released information about new dining options in Star Wars: Galaxy’s Edge (see it here! ), and Kat Saka’s Kettle was introduced as a flavored popcorn stand. 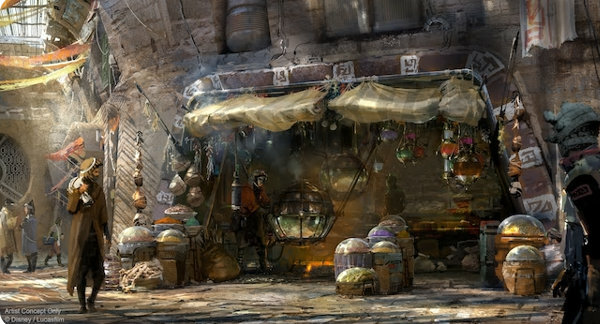 Now, we have a look at BRAND NEW concept art for this spot! 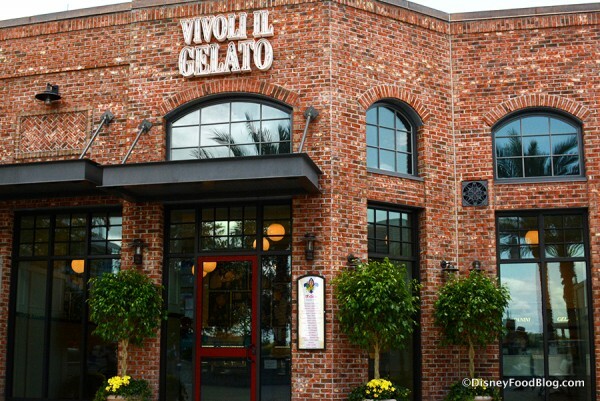 The Greatest Shake on Earth Now Found in Disney Springs’ Vivoli il Gelato! If you are on the hunt for the greatest shake on Earth, look no further than Vivoli il Gelato in Disney World’s Disney Springs. This gelato shop always has a menu of awesome, ever-changing shakes, and now they’ve declared ownership of the Greatest Shake on Earth. 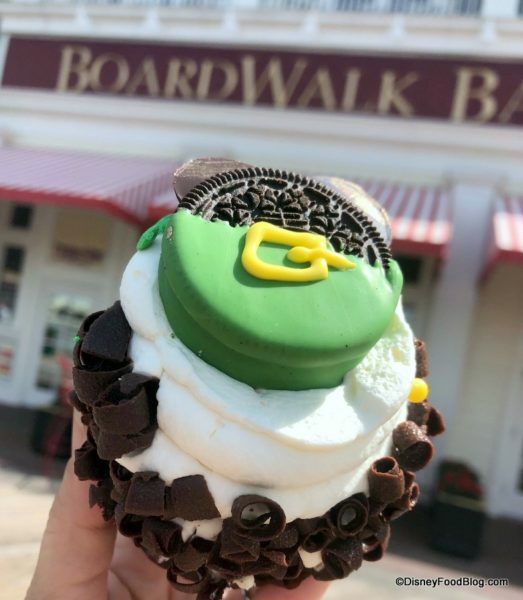 😉 This shake appears to be a nod to the live-action Dumbo that’s hitting screens next week, and you know we’re here for a treat with a movie tie-in! Don’t Miss Out! 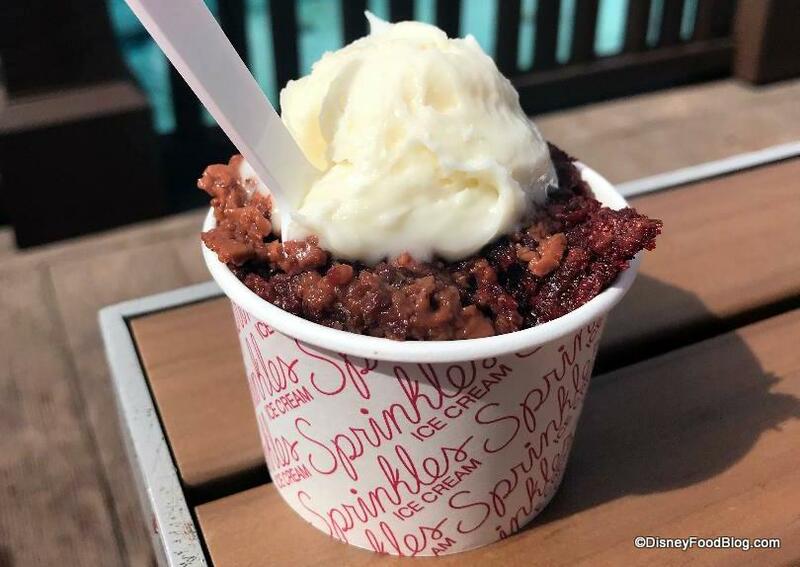 Sprinkles’ Red Velvet Bread Pudding is Leaving Disney Springs Soon — We’ll Tell You When! We tried the in-the-know Red Velvet Bread Pudding at Sprinkles in Walt Disney World’s Disney Springs last month, and we loved it! Ooey, gooey, covered in frosting; it was pretty much everything we love in a dessert. But now we know, the Red Velvet Bread Pudding is nearing the end of its run! Read our review of this indulgent treat HERE! 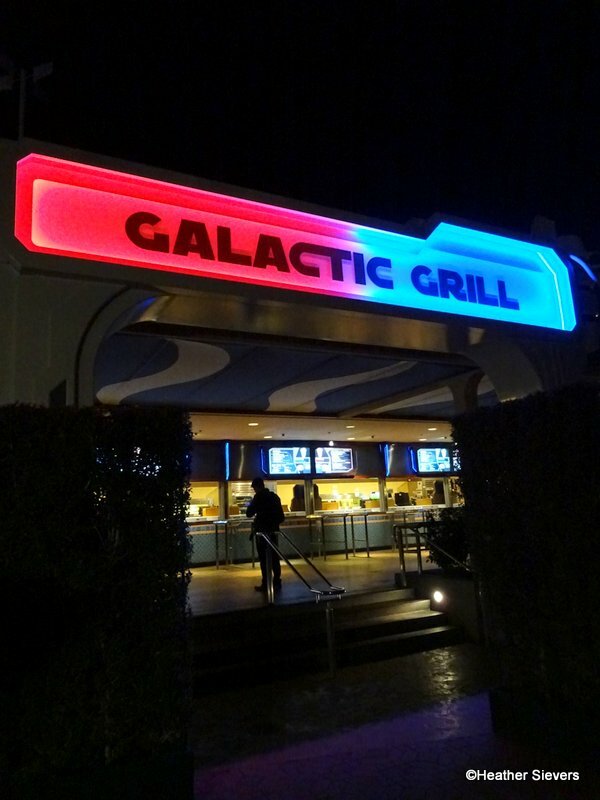 Review and Photos: Captain Marvel-Themed Eats (and Slush!) at Disney California Adventure Park! 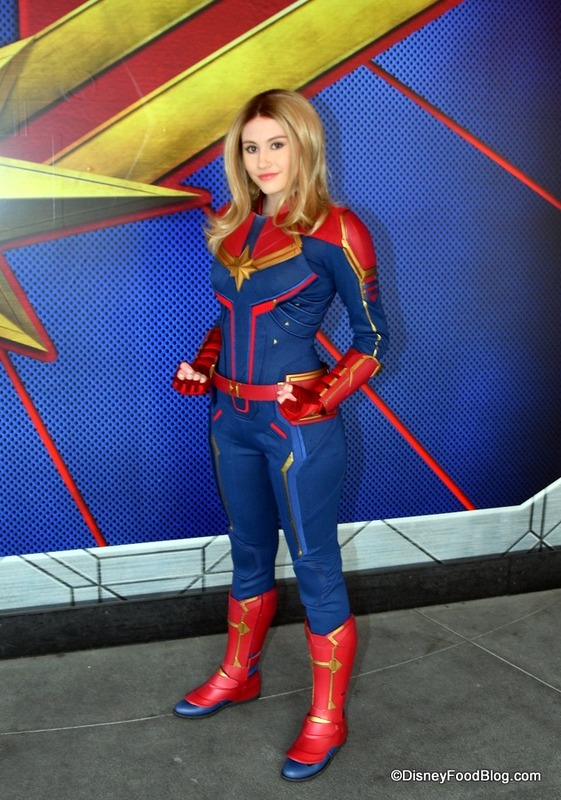 Captain Marvel is saving the day at theaters everywhere, and you know what that means: character themed snacks! This time we’ve found three tasty Captain Marvel-inspired treats at Studio Catering Company, the food truck that keeps guests fueled up in Disney California Adventure Park! Aunt Polly’s is a VERRRRY seasonal quick service spot uniquely located on Tom Sawyer Island at Walt Disney World. Finding this fun, casual restaurant open is a bit of challenge, but when you do, it’s a terrific place to grab a quick bite — particularly when the weather is amenable to outdoor dining on the front porch! 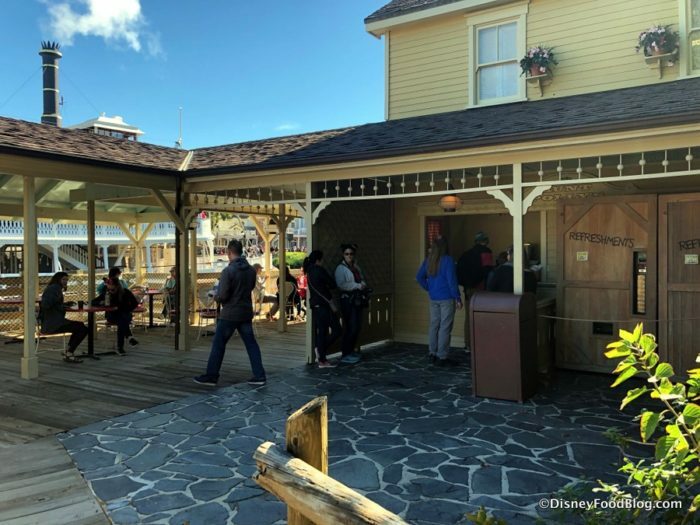 And for a short time this month, Aunt Polly is welcoming diners! The restaurant will be open from March 9-16 between 11AM-3PM and serving up some simple quick service eats! 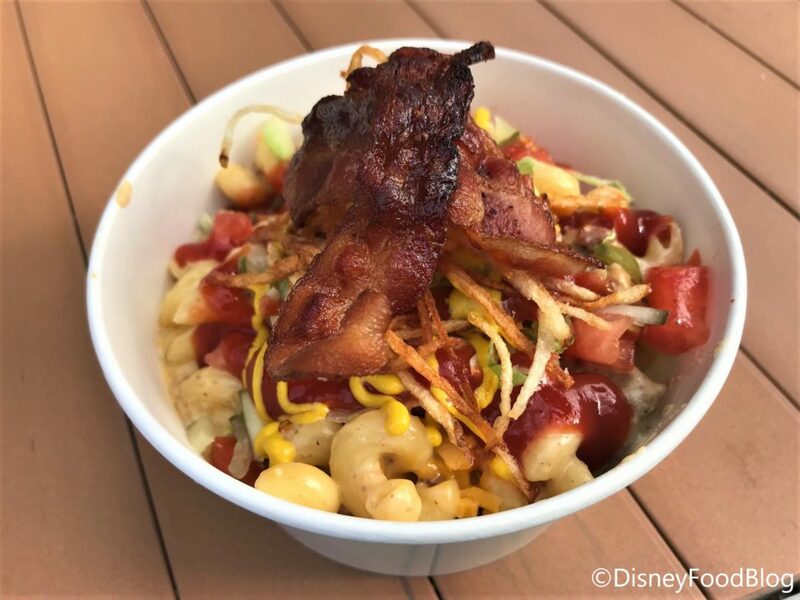 Becky’s Buttery Biscuit BBQ Sliders are back (Click here to read our review of Aunt Polly’s Biscuit BBQ Pork Sliders! ), and we love the quaintness of the Peanut Butter and Raspberry Preserve Sandwich.